Our 4 person X200 is 193.04 x 187.96 x 73.66cm with 1 x 2 Speed 1.5BHP pumps. 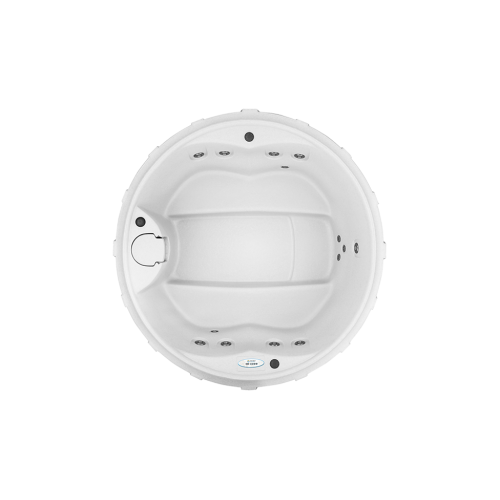 The Award X-200 Rota round hot tub is built with our proprietary Syncrylic material for the appearance of acrylic and with the durability of polyethylene. 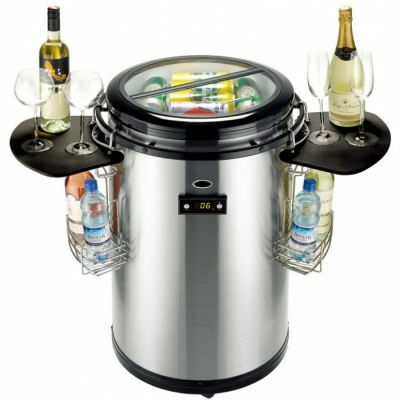 The X-200 is a family hot tub and designed with social and party use in mind. There’s a cool waterfall, clean water technology and comfortable seating in this 5 person hot tub. 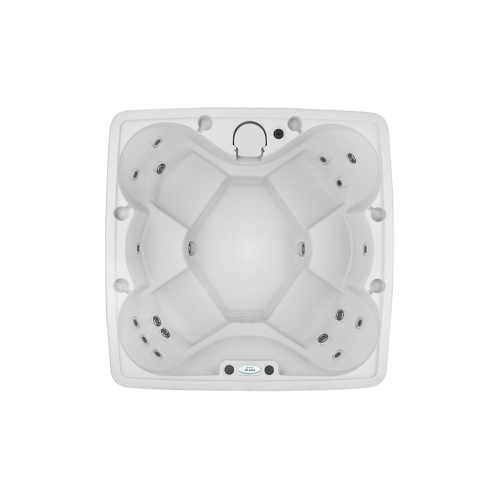 Our Rota range is a great alternative to Lazy Spas or a second hand hot tub. 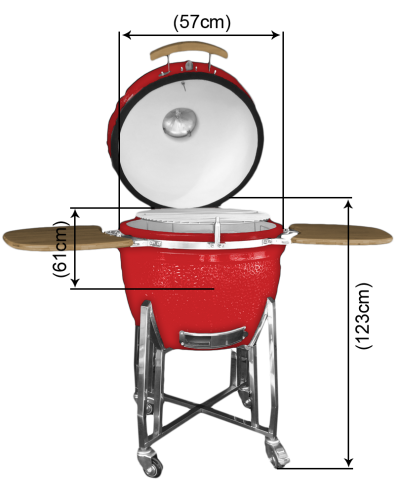 You have all of the benefits of a hard shell hot tub with reliable, credible guarantees, but at the lower cost of Chinese hot tubs as seen from pop-up websites on the internet. 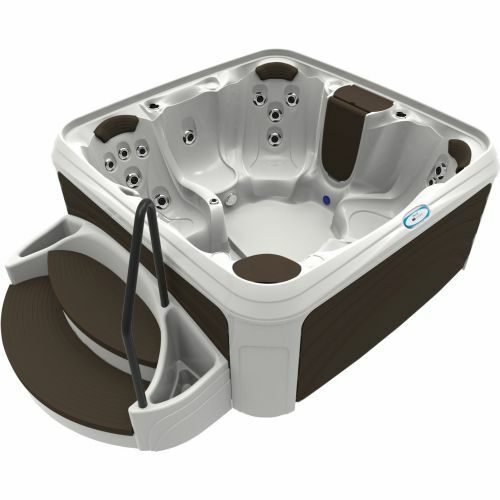 The Coast Spa Tublicious 2 person hot tub made in Canada, is ideal as a smaller patio hot tub. 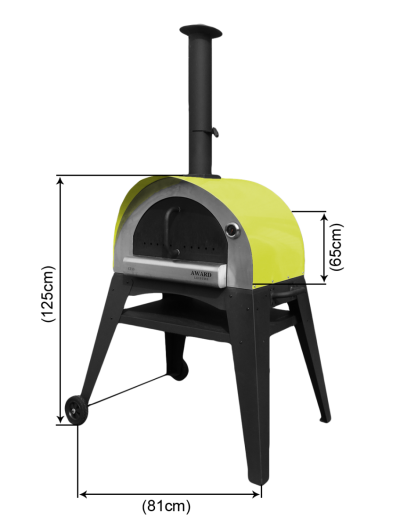 The Tublicious is perfect if access to your back garden is limited and can be connected via a plug to a standard 13 amp supply. The Tublicious is a hot tub with 2 deep seats and that fits a variety of body shapes and offers a powerful hot tub hydrotherapy massage. 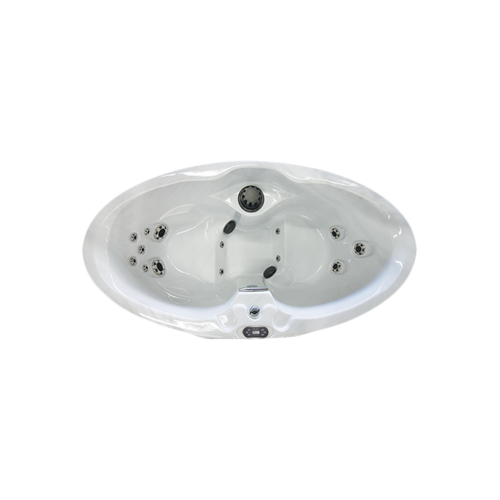 The 2 deep seats are perfect for lower back, hip, leg and foot massage and this hot tub for 2 adults will allow you both sit facing one another - to stretch out, unwind and relax. 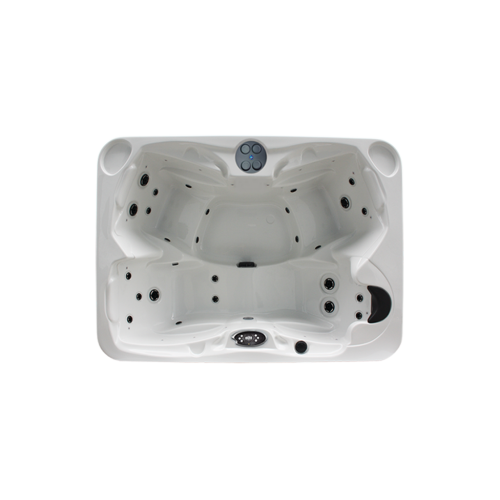 This lower 2 seater hot tub will fit through a standard doorway and the lower profile design allows bathers to easily get in and out of the hot tub without steps. 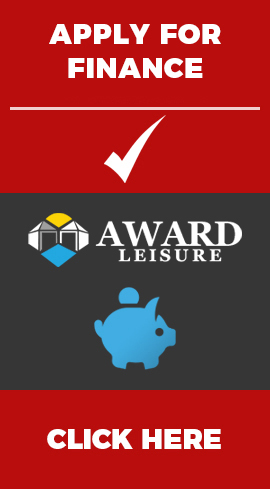 With the best commercial grade hot tub filtration creating the cleanest hot tub water, this is an insulated hot tub with the lowest running costs. The Canadian spa with waterfalls and underwater lights creates an ambience that makes this the perfect solution to having your own spa in your back garden. 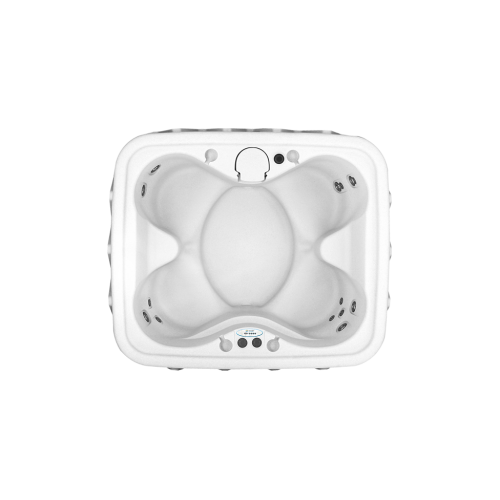 The Aruba is the perfect hot tub for relaxing away from the crowds and brings excellence and first class living to your outdoor down time. These traditional, cooperage–style cedar hot tubs are hand-crafted from clear western red cedar, giving you quality and craftsmanship that stands the test of time. 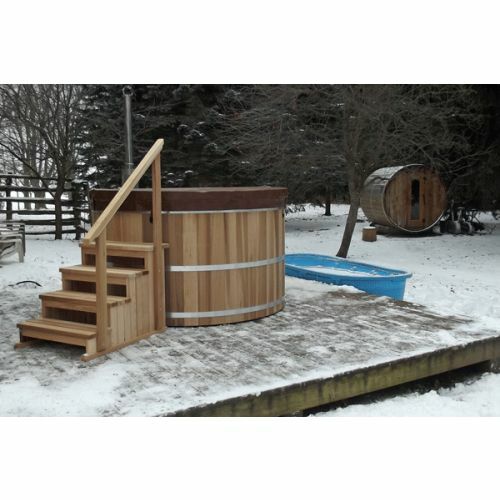 This Round Cedar Hot Tub is 153cm x 92cm (5ft x 3ft) and for 3 persons. 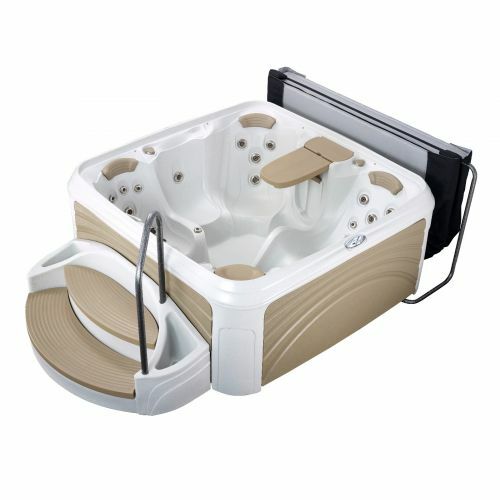 The Coast Spa Aruba 3 person hot tub made in Canada, is ideal as a smaller patio hot tub. The Aruba is perfect if access to your back garden is limited and can be connected via a plug to a standard 13 amp supply. 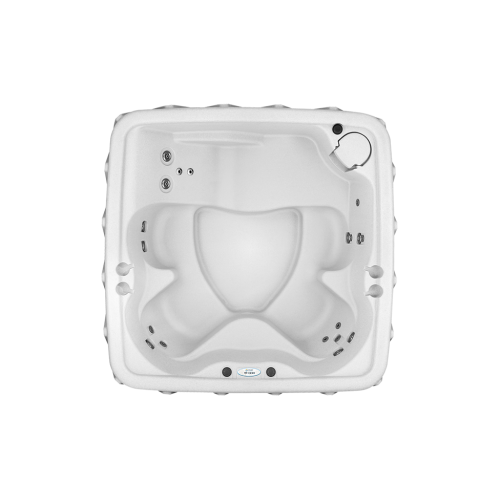 The Aruba is a hot tub with a lounger that fits a variety of body shapes and offers neck reflexology as well as an all over powerful hot tub hydrotherapy massage. The other 2 deeper seats are perfect for shoulder, lower back, hip, leg and foot massage. This lower 3 seater hot tub will fit through a standard doorway and the lower profile design allows bathers to easily get in and out of the hot tub without steps. 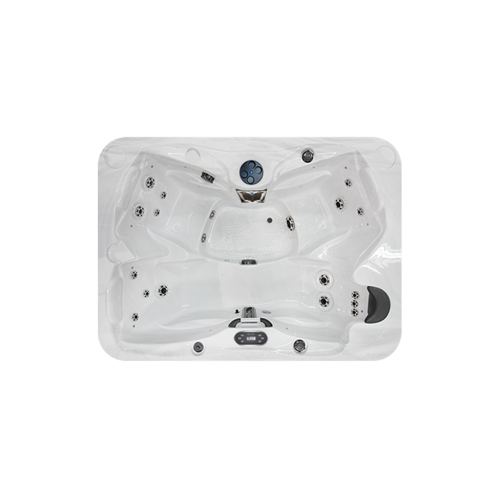 The Regency Spas Baroness 3 Person Hot Tub with Lounger is 151cm x 212cm & 78cm high, this spa is perfect if access to your back garden is limited and will fit through a standard doorway. The Baroness seats 3 comfortably with a lounger that offers 2 types of massage and fits a variety of body shapes with controllable neck massage. The low profile makes entry in and out of the spa easier and because of the deeper shaped seating the depth of water is not compromised. The baron proves that nice things do come in small packages.